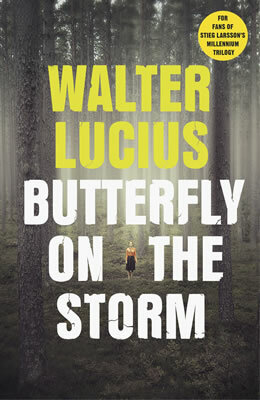 For those that enjoyed Stieg Larsson's Millennium series, The Butterfly on the Storm is an extremely exciting international thriller. The first part of the Heartland trilogy has been nominated for the Belgian Diamanten Kogel award as well as the Prix du Polar européen du Point, an award for the best European thriller published in French. Additionally, it was awarded with the Dutch Schaduwprijs. After a little Afghan boy becomes the victim of a seemingly ordinary hit and run accident in the forests of Amsterdam, a whole world of child trafficking and power abuse unravels. Whilst researching the case, journalists Farah Hafez and Paul Chapelle get entangled in a network of international crime and a highly dangerous political game, which leads them from Amsterdam to Johannesburg and ends up in Moscow. Butterfly on the Storm, the first instalment of The Heartland Trilogy, is not only a fast-paced thriller, but also an intriguing tale of lost loves and ideals.